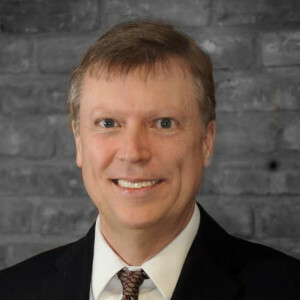 Dave McCool has been in the software industry for over 20 years. He co-founded Muzzy Lane Software in 2002 and serves as its President & CEO. Dave runs the development team building Muzzy Lane Author, our SaaS platform for building and deploying game-based content. 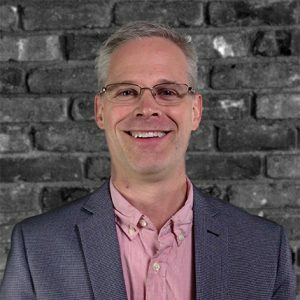 Jeff Fiske has been effectively empowering partners and development teams in the creation of strategy games and simulations for over 20 years. Jeff is also one of the founders of Tilted Mill Entertainment. Bert contributed to the design and research backing the Author platform as Muzzy Lane’s Design VP as well as leading design for many successful learning game projects. He leads the KidCitizen project (built on Author) for the Library of Congress, and uses Author in many other projects. 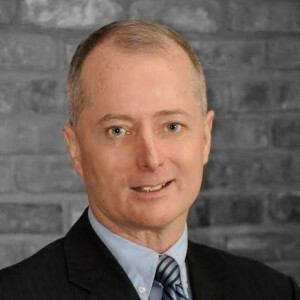 Conall helped build the partnership between Muzzy Lane and McGraw-Hill Education to develop the McGraw-Hill Practice series before joining Muzzy Lane as CEO. During his tenure, the company developed Muzzy Lane Author. Conall has held executive positions with major publishing companies and venture-backed startups. Eric teaches building and using computer simulations for science education, with particular interest in using handheld and wearable computers to engage learners in simulations. He recently received a NSF Postdoctoral Fellowship in Science, Math, Engineering and Technology Education. Eric is widely published on computer-supported collaborative learning and how simulations can be used to understand complex subjects such as biology and ecology. He focuses equally on teaching teachers to use technology and helping students to learn by using technology. Michael is a Professor of Social Science Education at the University of South Florida and a Senior Fellow in The Florida Joint Center for Citizenship. He coordinates the USF College of Education Ph.D. Program in Curriculum and Instruction with a concentration in Social Science Education. He instructs courses in Social Studies Methods, Technology Innovation in the Social Studies, Elementary School Social Studies, Visual Research Methods in Education, and Teaching the Holocaust. He has received the USF Outstanding Undergraduate Teaching Award, was twice chosen as the USF nominee for the United States Professor of the Year Program sponsored by CASE and The Carnegie Foundation for the Advancement of Teaching, and has received international recognition for integrating emerging technologies into instruction and modeling innovative pedagogy. He also was honored with the National Council for the Social Studies President's Award for outstanding contribution to the field and was selected for the Florida Council for the Social Studies International Relations Award for his research in global child advocacy. Michael has extensively published books, chapters, and journal articles and presented his research worldwide. He has been the principal investigator, co-principal investigator, or primary partner on grants from the United States Department of Education, Florida Department of Education, the Spencer Foundation, and other funders. Michael conducts research in the areas of global child advocacy and technology in social studies education. Ph.D.: Provost’s Professor of Communication, Journalism, and Cinematic Arts at the University of Southern California. Henry holds a Masters in Communication Studies from the University of Iowa and a Ph.D. in Communication Arts from the University of Wisconsin-Madison. He joined USC in Fall 2009 after spending the past decade as the Director of the MIT Comparative Media Studies Program and the Peter de Florez Professor of Humanities. He is the author and/or editor of twelve books on various aspects of media and popular culture, including Textual Poachers: Television Fans and Participatory Culture, Hop on Pop: The Politics and Pleasures of Popular Culture and From Barbie to Mortal Kombat: Gender and Computer Games. His newest books include Convergence Culture: Where Old and New Media Collide and Fans, Bloggers and Gamers: Exploring Participatory Culture. He is currently co-authoring a book on "spreadable media" with Sam Ford and Joshua Green. He has written for Technology Review,Computer Games, Salon, and The Huffington Post. 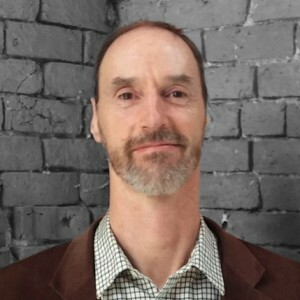 Jenkins is the principal investigator for Project New Media Literacies (NML), a group which originated as part of the MacArthur Digital Media and Learning Initiative. While at MIT, he was one of the principal investigators for The Education Arcade, a consortium of educators and business leaders working to promote the educational use of computer and video games. MA, D.Phil., is the Laurence A. Tisch Professor of History at Harvard University and William Ziegler Professor at Harvard Business School. He is a resident faculty member of the Minda de Gunzburg Center for European Studies. A prolific commentator on contemporary politics and economics, Niall Ferguson writes and reviews regularly for the British and American press. He is a contributing editor for the Financial Times. He has appeared on Time magazines list of the world’s hundred most influential people, and Foreign Policy magazine recently named him as as one of the top one hundred global thinkers. He was recently asked by the British government to play a play role in reshaping the history curriculum of secondary schools in the UK. A number of his books have been produced as award-winning documentary mini-series, including "The Ascent of Money", which recently won the International Emmy Award for best documentary. His works include The Ascent of Money: A Financial History of the World, The War of the World: Twentieth Century Conflict and the Descent of the West, Colossus: The Rise and Fall of the American Empire, and many others.